Your home patio is a place which is considered to be a place of family’s reunion. On all the weekends or on some celebrations you guys prefer to sit outside in the patio to spend some quality moments with all of your family members. But a mere patio will not be an ideal place for sitting unless it is not equipped with all necessary furniture items. 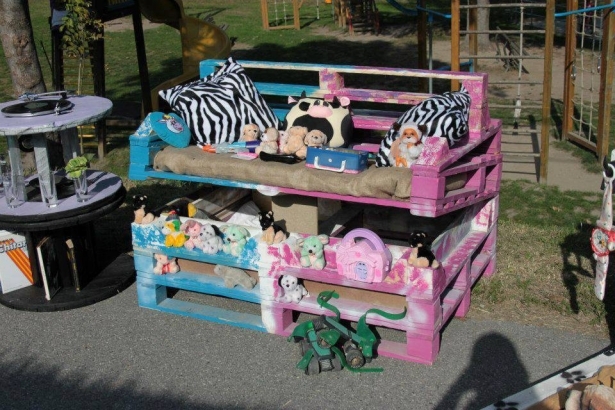 We have worked a lot on the wood pallet recycled patio furniture items but we still feel to have a lot more than this. 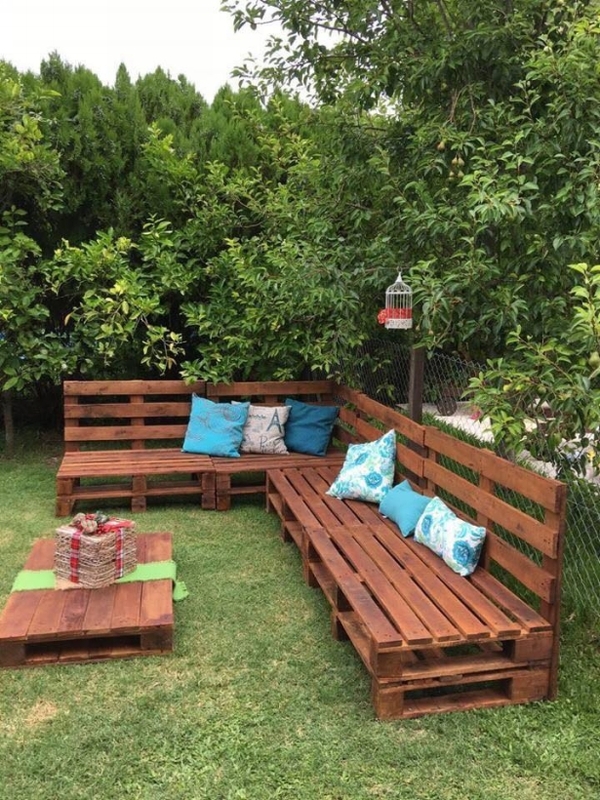 Here are some classic upcycled pallet patio ideas which would help a lot in the decoration and beautification of your patio. 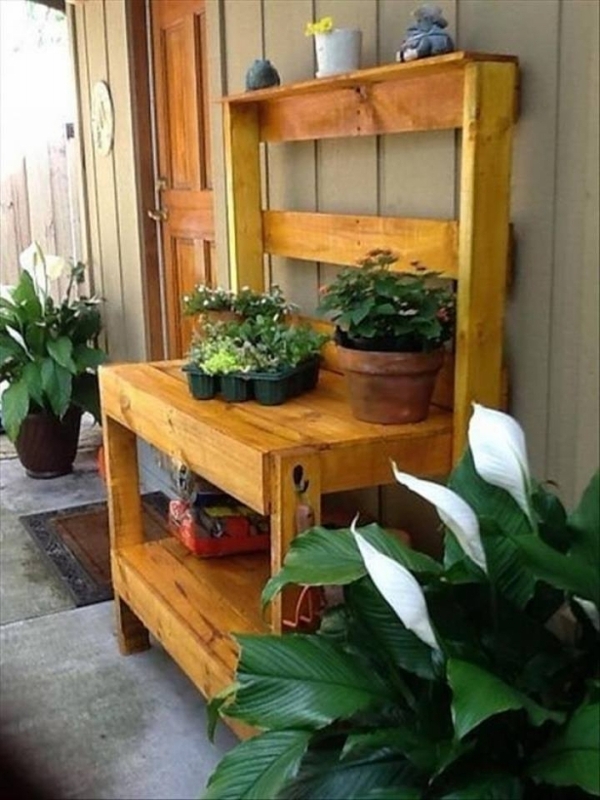 This is a straight and simple wood pallet recycled sitting arrangement for your patio. We have recycled them in the simplest manner, we left them pretty unstained. Despite of their rustic look they look quite appropriate in the patio. 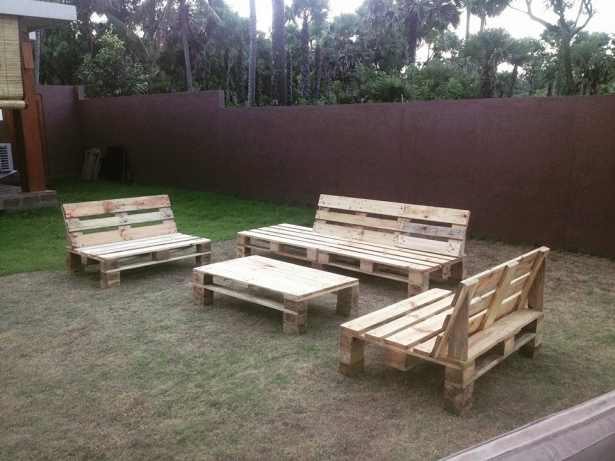 If you still want to go a bit further for the beautification of your patio space, try this wood pallet upcycled L shaped couch, it has again got the simplest design and a rough styled stain on it. 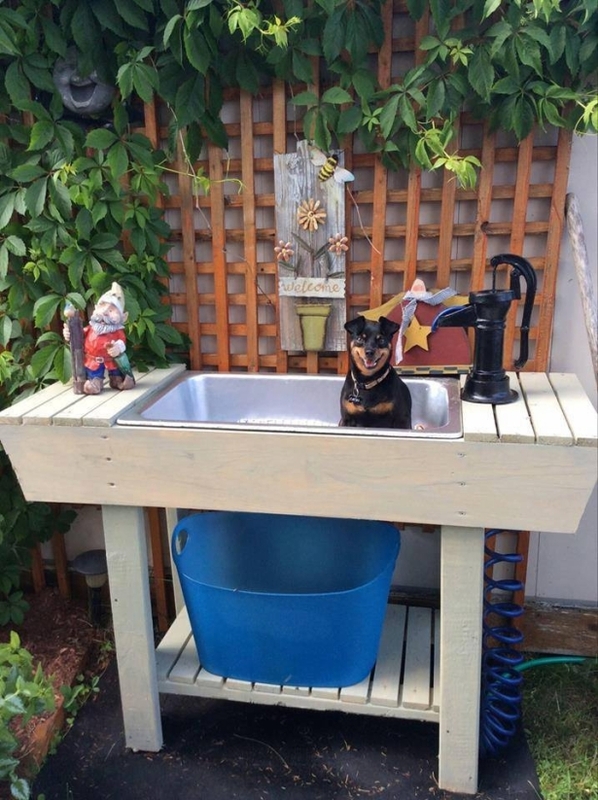 Though we have used some fresh wood pallets but this is still the most cost effective project for your patio. 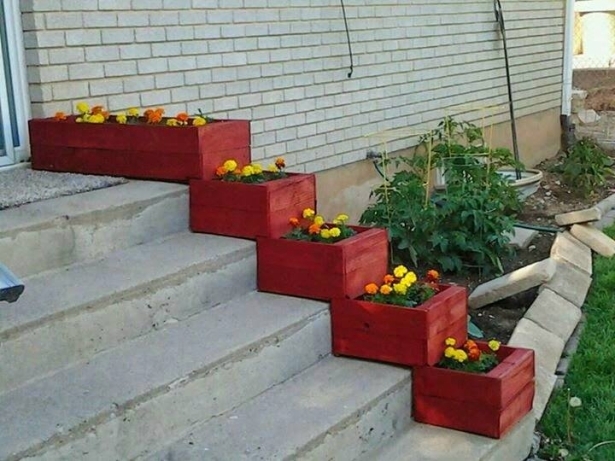 In the next project we can see a whole range of wood pallet recycled planters carrying some beautiful annuals. This is just like a different sort of red carpet for your visitors where they along with the colors would also enjoy their aroma. Potting tables are undoubtedly very important for all the ones who are obsessed with gardening. This play literally a vital role throughout in their gardening activities, so get yourself this delicate wood pallet upcycled potting table. Use it in your own way and enjoy the utility of cheap pallet wood. Wall planters have just got so much trendy now days. 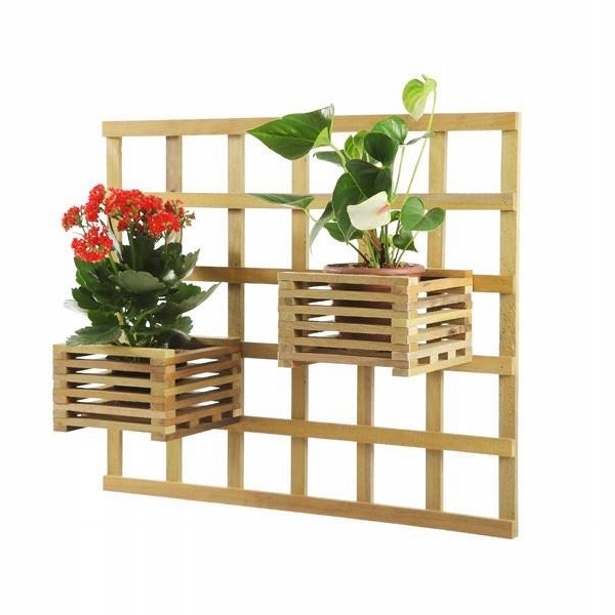 People with smaller dwelling areas are resorting to these wooden wall planters. They are used as a multi purposed product. Not only they allow you to plant your favorite annuals but they also cause the beautification of your domestic walls. Hey house holding ladies, I need your generous attention here please. Do you ever feel like washing your utensils outside because inside the kitchen it is too hot and your ventilation machine is also dead? This is a perfect outdoor utensil washing unit, place it in your patio and just enjoy your domestic work. And this is a cute pallet wood recycled table, we have taken all the possible care while recycling this wooden beauty. 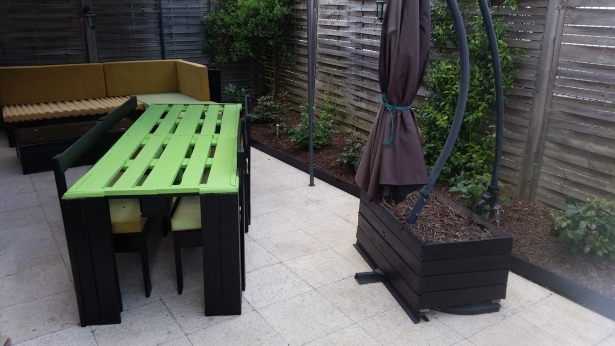 We made the provision of the best pallets possible, we stained it with full professionalism, and while working on its design, we gave it a perfect shape for the patio. 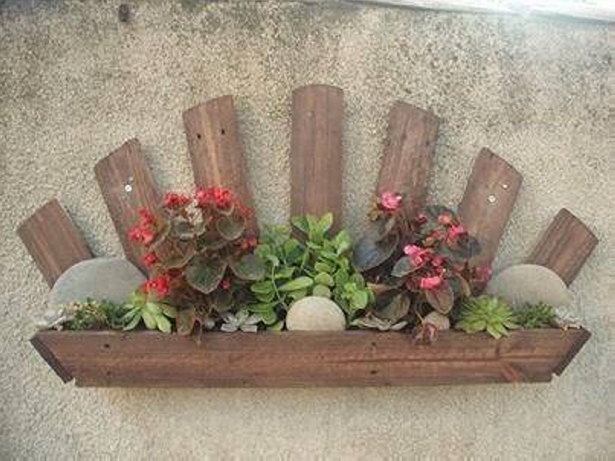 And lastly here is another elegant wall pallet wood garden. Again we used some of the freshest pallet wood planks as this was meant to be used in the prime area of the house, the patio ofcourse. I hope it let a great impression on all the folks.